Dickson says the system was known internally as AcornOS, and the startup screen features a cute lil’ black and white acorn. For whatever reason, he doesn’t give us much of a look at the prototype device itself (why is it so dark?) but spends plenty of time playing around with the interface. 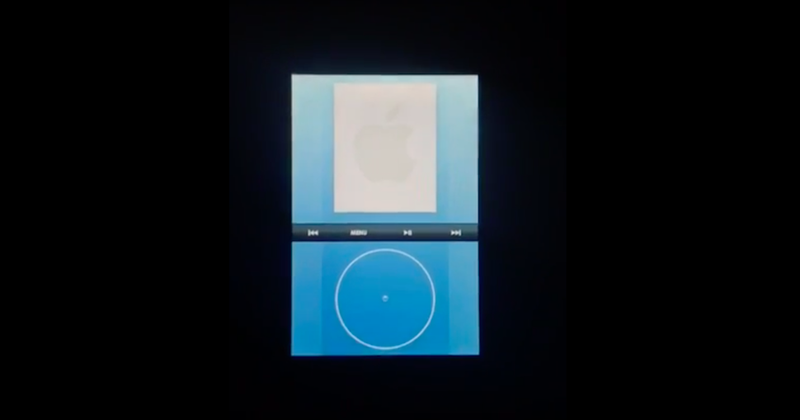 Besides the aforementioned on-screen click wheel, which takes up about half screen, the alleged software also features a menu-oriented UI that will look familiar to anyone who has ever used an old school iPod. By way of proof, Dickson points to a patent Apple filed in 2006 for a “multi-functional handheld device,” which includes a click wheel. Would the AcornOS prototype one day lose its headphone jack, too? Unfortunately, the answer is lost to the sands of time.